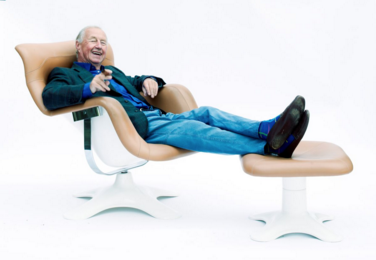 Says Sir Terence Conran designer, restaurateur and co-owner of Bibendum Restaurant in Chelsea, which itself has undergone a renaissance after 30 years, celebrating 2017 with the coveted two Michelin Star Awards under eminent Chef Claude Bosi. Sir Terence shares exclusively his design ethos, over the past 30 years, to create the perfect restaurant experience below. I can think of few things in my career that have proved more satisfying than providing customers with the complete experience a restaurant can bring – good food and drink, comfort, friendly service, conviviality, entertainment and companionship all under one well designed roof. In the perfect restaurant everything comes together to provide a total experience and good design doesn’t need to be constantly restyled or follow fads and fashions. Restaurant design is one of the most challenging briefs you can give an architect or interior designer, but when you get involved you quickly realise that it is also one of the most interesting and creative jobs you can take on. I don’t think there is a single recipe for creating the perfect restaurant but the most successful restaurant is one where all the components work well together. As with any design project though, before the creative stage you have to get the basics right. You may well have a clear idea of how you want the restaurant to look, but before you can begin detailed planning it is vital to address the complicated logistics of accommodating utilities and supplies. If a restaurant has been designed badly it will become immediately apparent, however beautiful or lavish the interior looks or how good the food is, because it will not function properly. It is often of the things you don’t see that are the most expensive and important to deal with. Proper ventilation, heating and cooling; goods in and waste out; health, safety and fire regulations; and things you take for granted like lighting, water, gas and electricity. Boring? Perhaps. Complex? Almost certainly. Frustrating? Always. But once you’ve got the infrastructure right can you start to have a little fun and give the place some personality and individuality. The starting point for all of the design schemes in my restaurants has been to try and conjure up a particular mood or atmosphere from memories of past pleasures. To create a character that reflects both the location and the architectural qualities of the space. From my first cafe in the fifties to my latest restaurant over sixty years later, it is a philosophy that has always served me exceptionally well. Which brings me to my first big step up the gastronomic ladder when I acquired Michelin House in the mid eighties. It was a building I had been seduced by for more years than I care to remember and I always saw it as the opportunity to create the restaurant of my dreams. It was also achingly obvious this building needed a restaurant and it could only ever be called one thing – Bibendum, after the original Michelin Man. We designed the whole restaurant to reflect Monsieur Bibendum’s curvy, ebullient form and his exuberance and bombastic energy became our symbol and an integral part of the space. His form inspired pretty much every detail you could imagine in the restaurant – the china, the glass, the tables and chairs, ashtrays, menu, salt & pepper pots – we even had his image woven into the napkins and table cloths. We restored many of the mosaics and plaques that featured Monsieur Bibendum and, of course, he jovially presides over diners from all angles in those beautiful stained glass windows. The charm of Bibendum has always come from the myriad of tiny details in the design but the restaurant also had a clear distinctive style which we strongly wanted to reflect the food and wine we were serving. We had been through a big process of finding the right chef and struck gold in Simon Hopkinson. His cooking was exceptional and we shared many favourite dishes from around the world so we came to an agreement about the simplicity and quality of the ingredients being the thing that really mattered. “Gutsy French bourgeois brasserie cooking” was the name we came up with. At any rate, we decided to create a space that felt quite different – something between the relaxed informal atmosphere of a classic Parisian brasserie and something more precise and elegant like the Connaught because that would reflect the menu we had created. In all my years as a designer or restaurateur I don’t think so many thoughts, ideas and discussions have gone in to the design of any project and I cherished every single one of them. We couldn’t have given more love and consideration to the place. Over the years we have undergone minor refurbishments to refresh and revitalise where necessary but so many restaurateurs feel they have to make major changes to remain fashionable and up to date. Thoughtfully designed, considered spaces can stand the test of time, as Bibendum has done so successfully. It is very rare for a restaurant to have lasted so long with so few significant changes along the way but it is true though that Bibendum got a little too comfortable and perhaps added a couple of tyres to the waist over the years. So when the last of the chefs who worked in the original Hopkinson Team left the company last year, Michael Hamlyn and I realised our beautiful Bibendum was finally in need of a significant refurbishment. 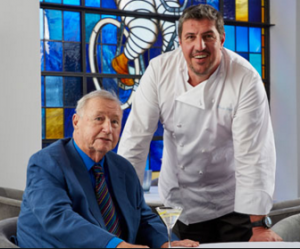 The timing couldn’t have been more perfect for Claude Bosi (pictured with Sir Terence at Bibendum, below) to approach us, keen to do a deal with us as the chef and equal shareholder. He loved our restaurant and of course our Michelin Building so we agreed to this new structure and he has played a huge role in the new Bibendum. Claude has completely revitalised our restaurant, recognising the tradition of the Bibendum menu but modernising and breathing new life in to it with own dishes and vision. One of the most exciting things about the reopening is the new kitchen we have installed, which must be one of the finest, modern kitchens in all of London. It really is a perfect, contemporary space for any cook to showcase their talents. The whole team has worked closely on the interiors with Isabelle Chatel de Brancion of SPIN architecture who has created a new, fresh interior that compliments and reflects our original design. We have opened the interior by removing some of the bulkier fittings offering views across the restaurant – I took some convincing to remove the glorious old waiter station in the middle of the room, made by Benchmark! I think the design has been a tremendous success and the elegant, light filled restaurant with the sun streaming through the stained glass windows remains one of my favourite rooms in all the world. Our cheerful mascot Monsieur Bibendum still watches over the room with ebullient cheer. Some people seem to view well designed restaurants with an element of suspicion – that somehow a beautiful space may mask deficiencies in the cooking. But I disagree, good food tastes better in beautiful surroundings and if the cooking is excellent, why shouldn’t the restaurant interior reflect such quality? 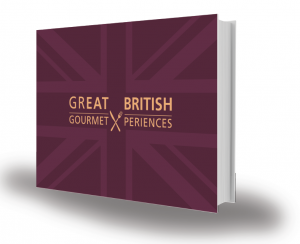 Sir Terence Conran’s full interview is featured in ‘GREAT BRITISH GourmetXperiences Printed Guide, alongside other industry leaders including Claude Bosi. Available Here.